Jordi Ribera got his Degree in Biology in 2008 and took a fellowship in the Molecular Biology Section of the Hematology Laboratory of the Hospital Germans Trias i Pujol under the supervision of Dr Lurdes Zamora. He later completed his PhD in Medicine under the co-direction of Dr Lurdes Zamora and Dr Josep Maria Ribera at the IJC. His doctoral thesis focused on identifying copy number alterations with prognostic significance in adult patients with B-cell progenitor acute lymphoblastic leukemia for a better patient risk stratification and personalized therapies. 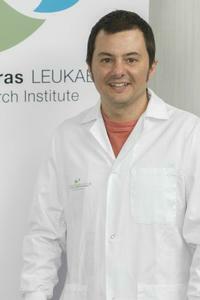 Currently he is working in the Acute Lymphoblastic Leukemia Research Group at the Josep Carreras Leukemia Research Institute.